Would you like to become our new Student Ambassador? 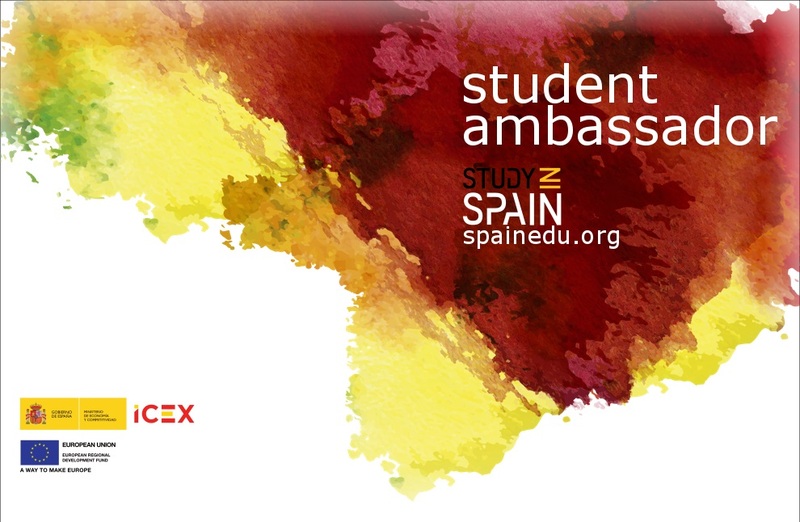 You can now apply to be the representative of Spain and the campaign STUDY IN SPAIN in your university for the next announcement of the Student Ambassador Program. The program aims to strengthen relations and the image of Spain in higher learning institutions in the United States. This is achieved through various promotional activities being conducted by the SiS Student Ambassadors in their universities, directed towards promoting Spain as a destination for study abroad programs. Attend a University or College in the US. Have studied in Spain or have a good knowledge of Spain. Be committed to the program during the year. An official diploma issued by the Embassy of Spain. Chance to participate in the Award Ceremony. Chance to win a one-week trip to Spain for the most active Student Ambassador of the year.